Other Shows, Where Are They Now? ‘True Life: Save My Teen Marriage’ Couple James & Rasheda Jackson: Where Are They Now? True Life fans finally have an update on the couple featured on the show’s 2015 special, Save My Teen Marriage, and, unfortunately, it’s quite tragic. “Save My Teen Marriage” featured two couples who had married as teenagers and were trying to save their crumbling relationships as adults. One of the couples, James and Rasheda Lee, was particularly interesting. Fans have long wondered what happened to the couple and their young son after the episode, as MTV never aired any updates on the couples from the special. Rasheda resurfaced last month, though, giving an interview to Huffington Post. The site was looking back at the 20-year history of ‘True Life’ and providing updates on some of the show’s most memorable participants. Sadly, tragedy struck Rasheda and James just a few years after their special aired. According to an online obituary, James passed away on June 22, 2017 at the age of 25. It appears that James and Rasheda were together at the time of James’ death, as she is listed as his wife. A local news story about the crash states that James was riding as a passenger in a car when its driver lost control of his vehicle. 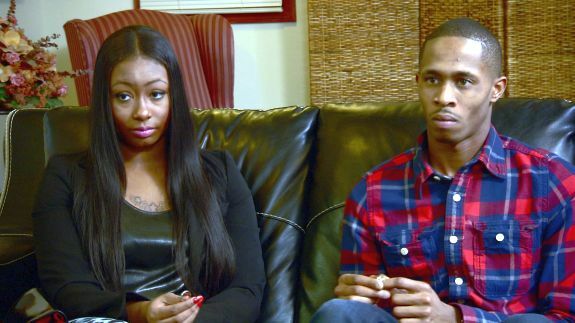 Back in 2015, The Ashley interviewed James and Rasheda, who stated that they decided to do the ‘True Life’ episode in hopes it would help other young couples. Last month, she told Huffington Post that appearing on the episode did, indeed, make some young couples hold off on getting married. As The Ashley reported back in 2015, MTV was hoping to turn the “Save My Teen Marriage” special into a full series but those plans never came to fruition. To read the updates on other memorable ‘True Life’ participants, click here. RELATED STORY: The Couples of MTV’s ‘Engaged & Underage’: Where Are They Now? Very sad. Rest in Peace, James. I’m particularly interested in that one couple…she was pregnant…he was in jail, and she found out he had been “cheating” on her. I wanna know if all of those couples are still together….plus I thought I heard that the other couple on the show were cousins, but we’re more like distant cousins….I may be wrong though.